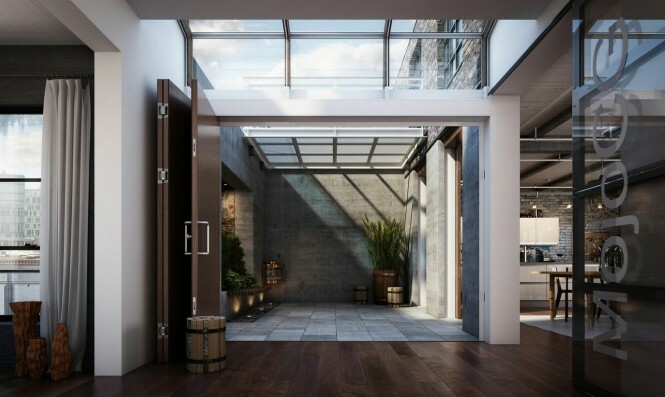 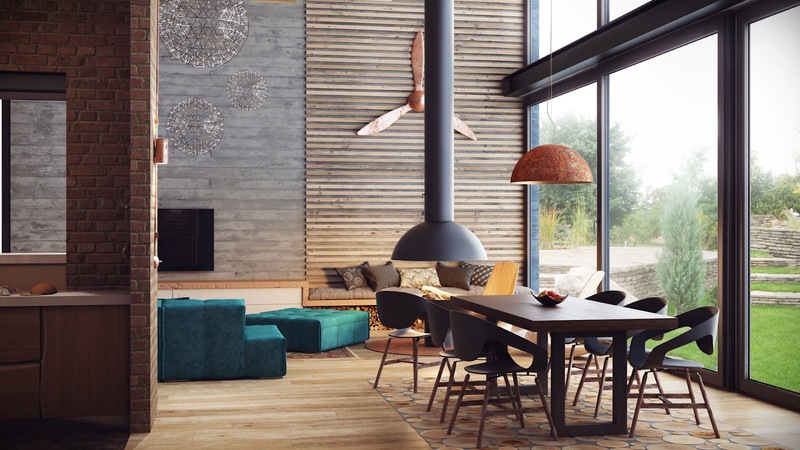 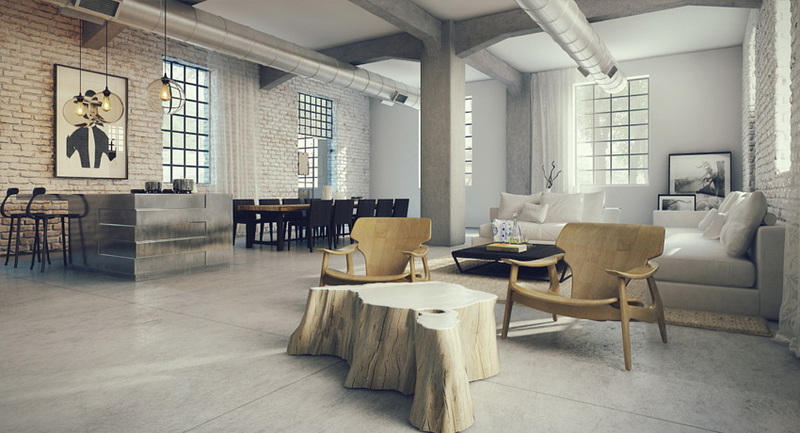 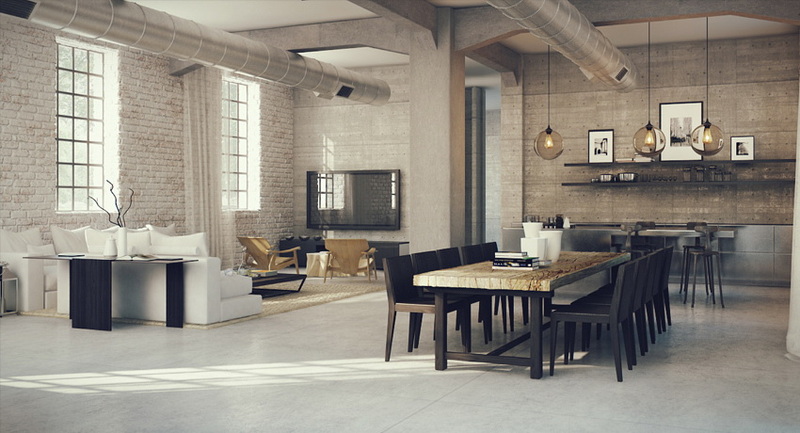 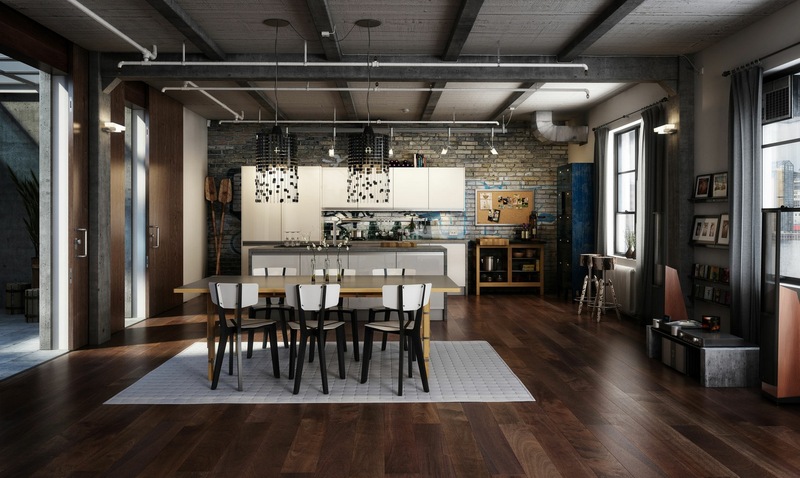 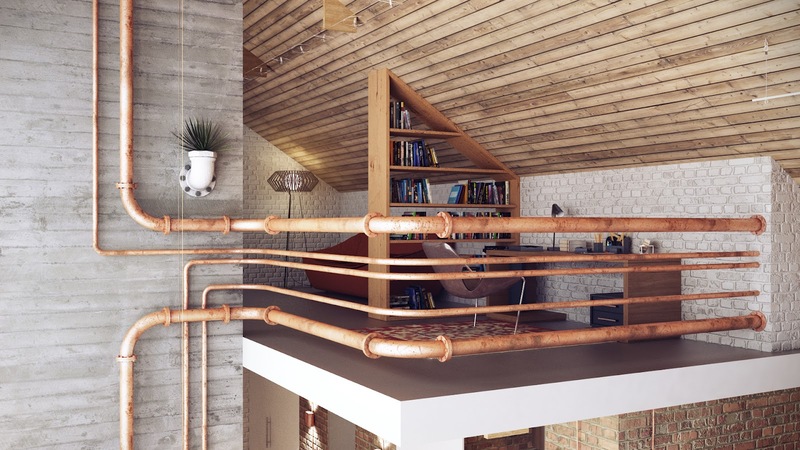 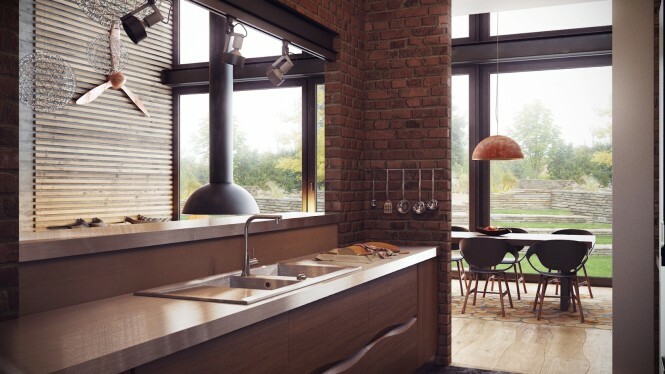 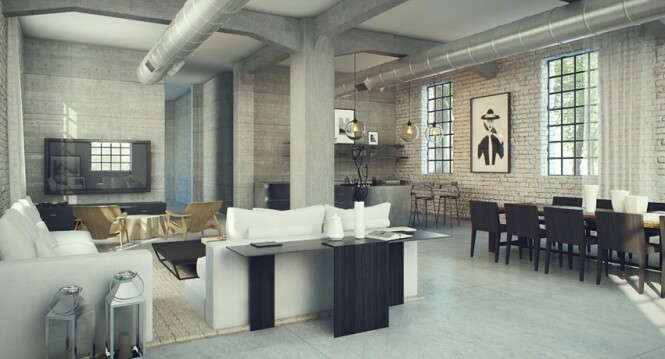 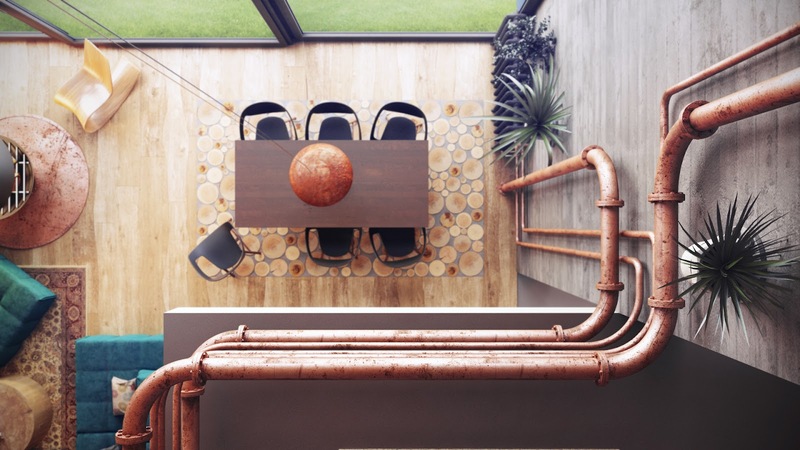 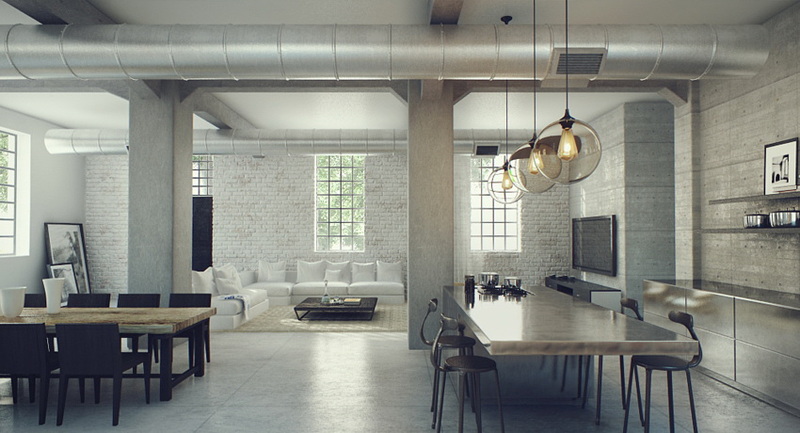 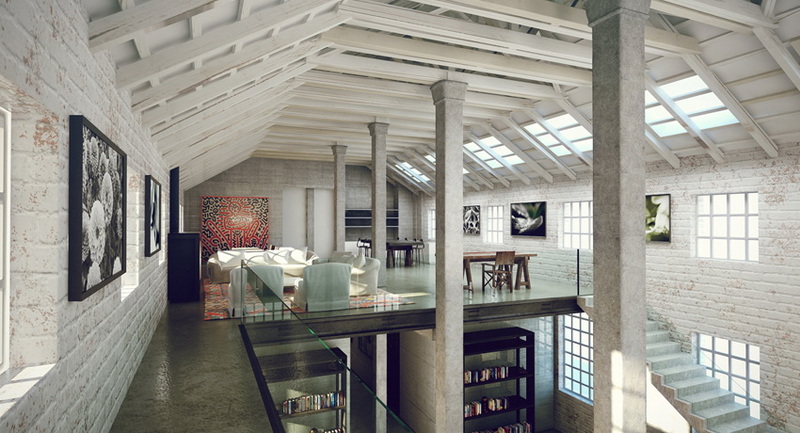 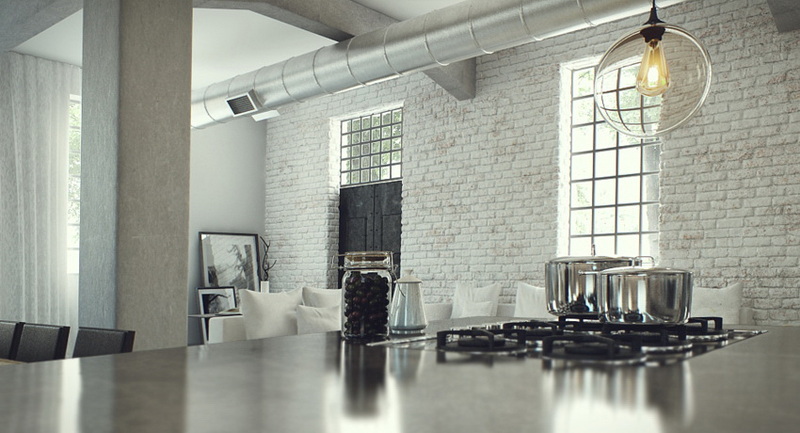 Take a tour through these three industrial loft visualizations for inspiration on developing an inviting color story throughout an open plan space complete with raw brick walls and ductwork. 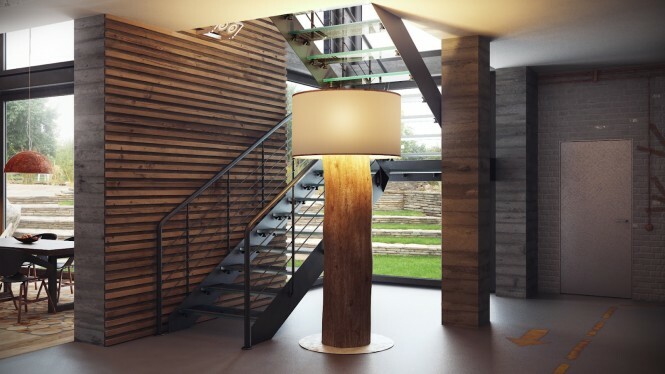 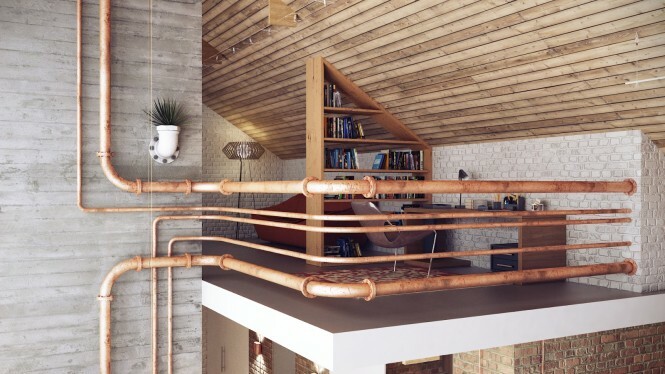 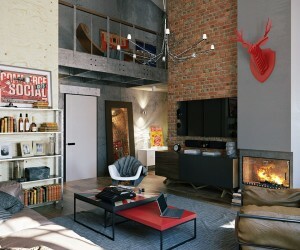 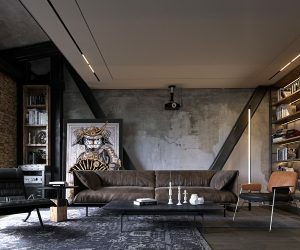 Loft number 1, by Alexander Uglyanitsa, is an interesting and unusual design developed for a Minsk, Belarus project, with furniture mostly Riva by Pininfarina. 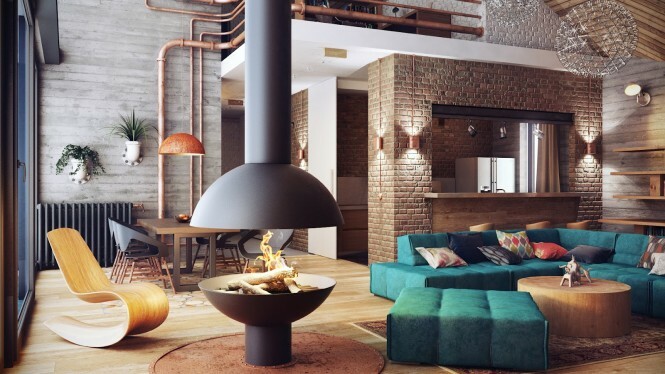 The raw space has been transformed into a cozy and inviting interior by introducing rich jewel hues in the upholstery of the main sectional sofa and throw cushions, and complimenting the copper pipe work with burnt orange pendant shade over the dining table and a rosy occasional sofa. 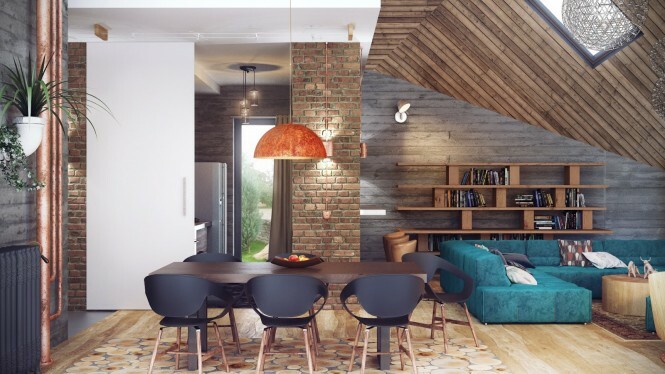 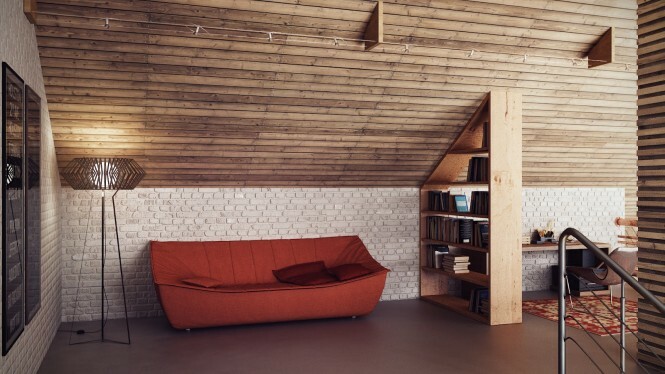 The entire space is warmed by the wooden ceiling panels, which also succeed in making the lofty ceiling appear lower for a more intimate atmosphere; the paneled ceiling effect is played out in other areas too, like the feature wall paneling and the edging of the built in seating nook and entertainment unit. 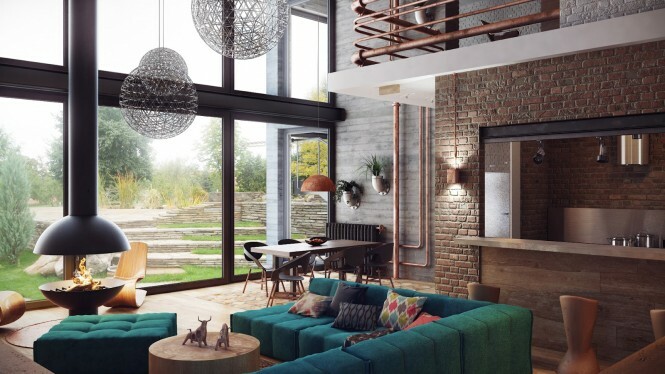 The wood tones used in Loft number 2 provide the drama and richness to counteract an overly cold industrial feel, whilst large expanses of glazing let in the light. 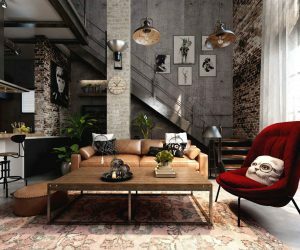 Loft number 3 explores a much more neutral palette, cool and edgy with dark undertones that act as an anchor to the pale high ceilings.